Catherine's writing reflects her life-long love of nature. She advocates for sustainability and respect for all living things. 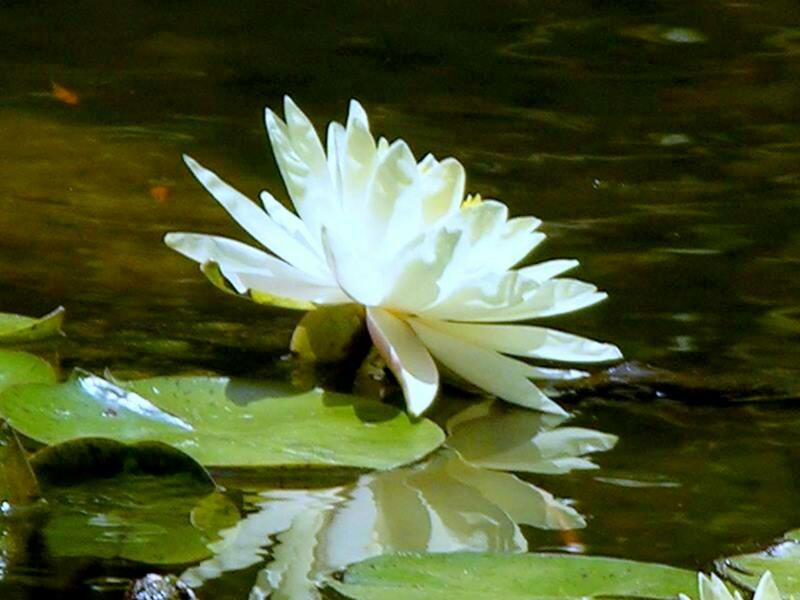 The lovely white water lily,Nymphaea odorata, is a perennial aquatic plant which grows from a rhizome much the same way a spring flower grows from a bulb. The hardy water lily is native to North America. The thick glossy leaves which float on the water's surface can measure nearly a foot across, each with a slit that gives them a heart-shape appearance. The leaves form at the ends of thick, ropy stalks as do the individual flower buds. When fully bloomed, the blossoms are pure white perfection with golden stamens. They open each morning with the sun, attracting dragonflies, damselflies, and whirligig beetles which help to pollinate them. By late afternoon, the flowers will close up for a night of rest. The blue water lily Nymphaea Caerulea was referred to as the "Blue Lotus" in ancient Egypt and has much symbolism in mythology. In Egyptian mythology, the blue water lily, erroneously called "Blue Lotus" is the symbol for Upper Egypt while the papyrus bloom, Cyperus papyrus, represents Lower Egypt. Intertwined, they represent Egyptian unification. The beautiful blue lily, Nymphae caerulea, is associated with the god Nefertum who is believed to have risen from the primordial waters of chaos within its perfumed bloom. 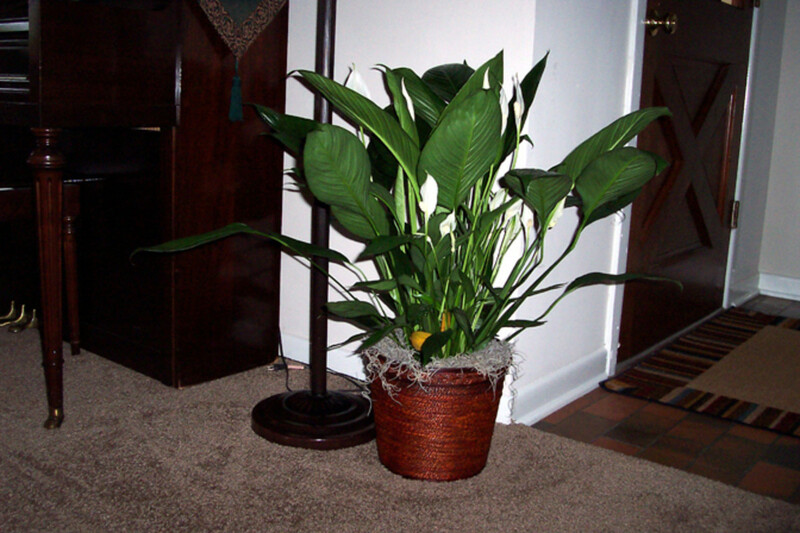 The opening of its flower at dawn and its disappearance at dusk makes it a symbol of both the sun god, Ra and rebirth. Nefertum is depicted in Egyptian art with the lotus on his head. The lotus motif is often seen in murals, in architecture, and among items in the tombs of royalty. 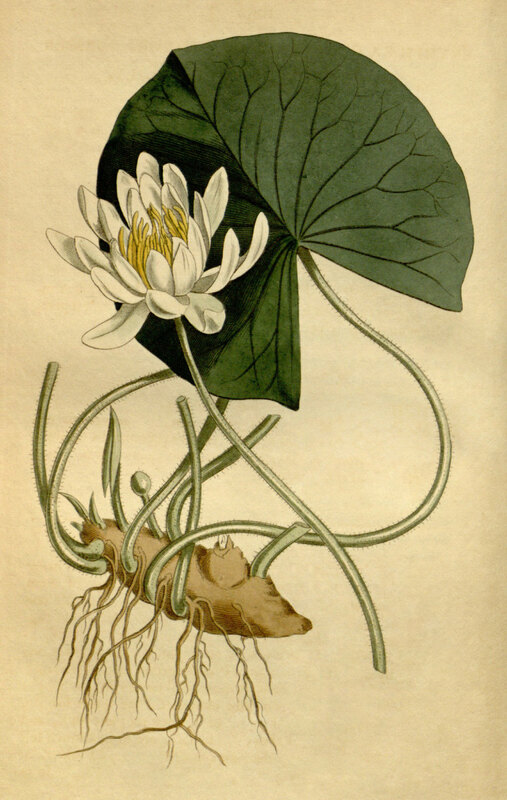 The lotus, Nelumbo nucifera, although related to the water lily, is a different species native to Asia and was introduced to the region by the Romans. 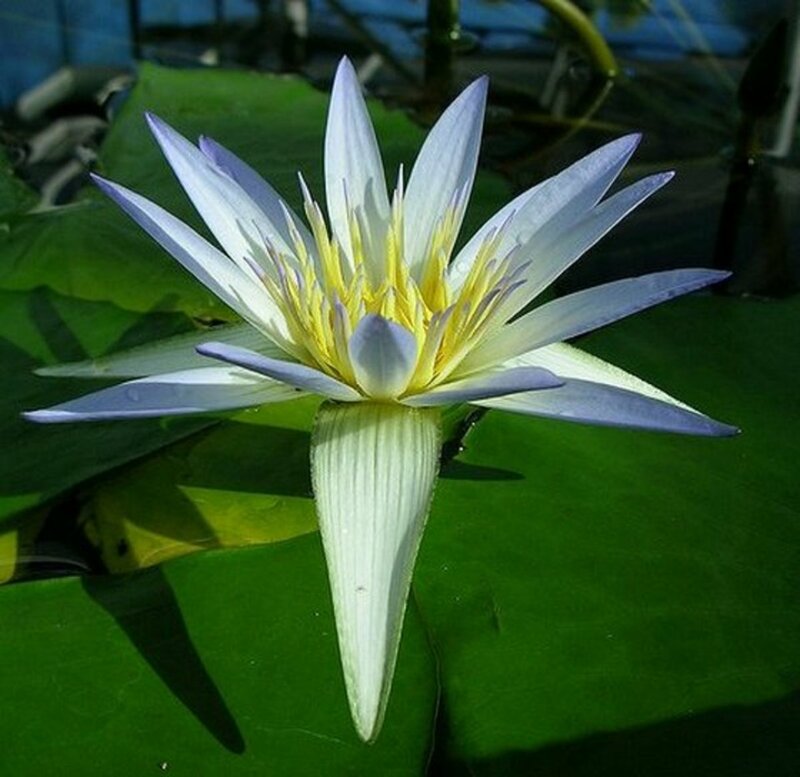 Both the "Blue Lotus" and the "White Lotus" which blooms by moonlight, are water lilies native to Egypt. 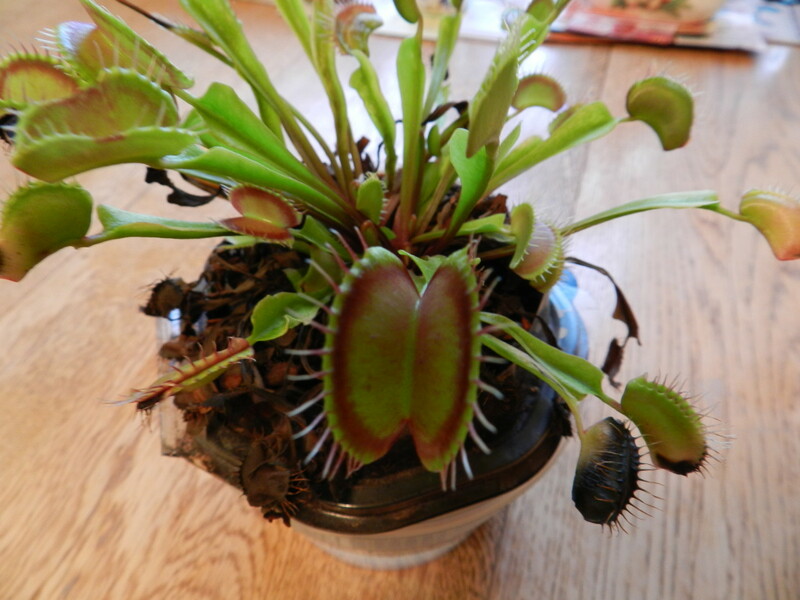 These varieties have larger leaves than those from North American, many reaching 20" across. The actual lotus bears blooms which stand quite tall, and, unlike the water lily, keeps all seed parts above water until the floating seed pod becomes woody. Similar in its bloom cycle, the lotus holds important symbolism for both the Buddhists and the Hindus. The opening of the flower bud signifies enlightenment, the perfect bloom represents purity, and the cycle of bloom is symbolic of resurrection and rebirth. Frogs and water turtles find protection from predators among the masses of pads and stems, and are sometimes found basking atop the leaves. If one looks carefully, he may spot the patterned flanks of koi or the quick movement of a water snake in search of food. 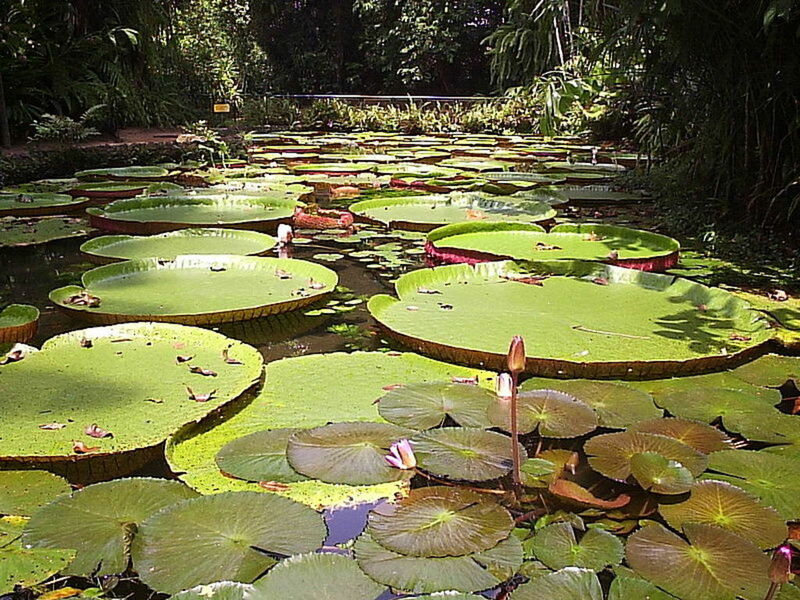 Besides providing a beautiful display and shelter, lily pads block sunlight from the pond depths preventing algae bloom. This naturally protects fish from a lack of oxygen. 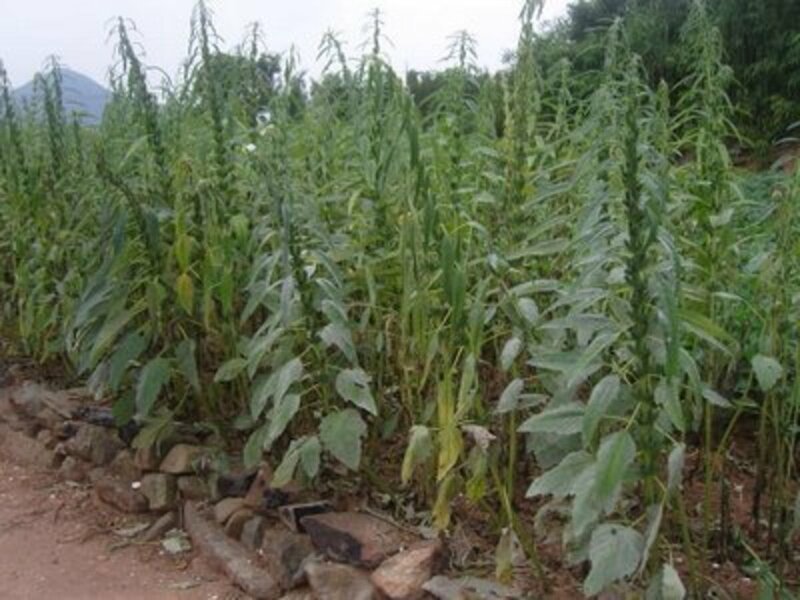 Leaves also serve to convert the ammonia from fish waste into beneficial nutrients for the plants. In the fall as the leaves decompose, the detritus that results from the organic breakdown becomes a significant food source for aquatic invertebrates. This, in turn, provides sustenance for the amphibians, fish, waterfowl, and small mammals higher up in the food chain. Water lilies which are at the peak of display during the summer months begin to yellow and decline in September and October as they prepare for dormancy. The rhizomes will store energy over the winter months for renewed growth in spring when the pond surfaces begin to warm again. Invasive by nature, water lilies are best submerged within solid containers to prevent spreading. It's always a good idea to check the invasive plant list for the state in which you live and take note of any warnings or restrictions. On pads of glossy green. Emerges a bloom of the purest white. Which her glowing beauty reflects. Thank you, Manatita- your thoughtful comments are much appreciated! Informative article and gifted poem, cat. Excellent and exquisite! Hello Pawpawwrites. I appreciate your thoughtful comments. Water lilies are so perfect in bloom that they look unreal! I think the colors are stunning and vibrant but still prefer the contrast of the pure white and the blush pink with the deep green pads. Thanks for stopping by! I love them. I was at a botanical garden a few years ago, and they had some beautiful colored varieties. 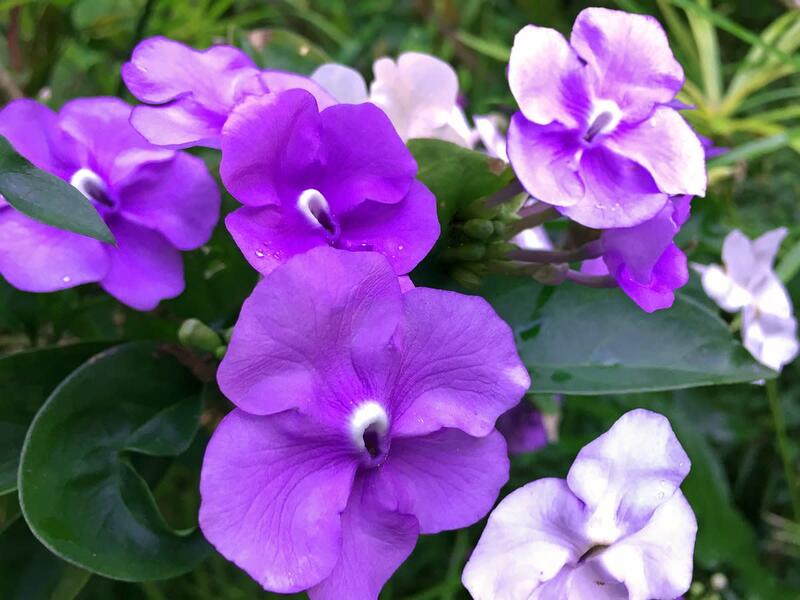 A beautiful poem for a beautiful flower! Loved it!! I appreciate your kind comments and find your sharing my poem to be a top compliment. Thank you!! I especially like the poem. It's a testament to the fact that quantity is not necessarily quality. Thanks for this hub. I'm sharing it. Glad you enjoyed the "short and sweet!" I agree that good writing is about content and not length. I dislike excess verbiage and worthless filler too. I thank you for you kind comments and the "thumb's up" on voting. I always enjoy seeing your visits here! What a beautiful capture! Loved this poem. Voted up and beautiful. Short and sweet, and I don't care WHAT "the Google" says...short CAN be worthwhile! Audrey, Thank you for your encouraging comment. I appreciate your visits, always. Sweet, serene and peaceful in it's beauty. Well done and voted up! Thank you for your thoughtful comment. I agree with the symbolism of the lotus and see the water lily in the same light. Lilium longifolium, the white trumpet lily, is the flower we commonly associate w/ Easter although most flowers which herald the arrival of Spring are included in our celebrations. I like the water lily as an Easter symbol, although I don't think it's traditional. It is a traditional Buddhist symbol . . . one kind of water lily, the lotus, represents Awakening arising from the mud of suffering and illusion. Thank you for stopping by and leaving the kind comment. It's a pleasure to see you! I'm delighted that you dropped by ! Yes, beauty can come from unexpected places and circumstances. Thank you for your thoughtful comment. Best wishes for a happy Easter and a glorious Spring. Just lovely and a fitting tribute to a blossom which proves the possibility of beauty emerging from the depths of murkiness! Fits the moment, too, with Easter just having begun. I couldn't agree more! I think most things in life involve contradiction of some form. I always enjoy your comments and wish you well. I hope you enjoy a beautiful Spring! Thank you for the lovely comment, xstatic. I'm glad you dropped by. Nice to see you here! Thank you for the sweet comment and the vote UP. I really appreciate it. It certainly does reflect the beauty of the sun! Beautiful poem! I Love "Water Lilies" Cat, and your Beautiful Poem captured them well. Voted UP & Beautiful too! Lovely, lovely poem. Do you live near a pond or some body of water that has water lilies? they have a certain fascination as they sit so serenely on the water. Enjoyed your poem of tribute. Thank you for such a lovely compliment! I hope all is well with you. Pure and beautiful just like the Lily. Thank you for your sweet comment. I appreciate your stopping by! Water-lilies are so lovely - and so is your poem.